Few physical ailments make routine life more miserable than the common cold particularly when it threatens to emerge during the summer. Yesterday morning, I woke up with the dreaded sore throat. Most colds are caused by a type of virus called rhinovirus, which thrives and multiplies in the nasal passages and throat (upper respiratory system). I never find them mild. Colds, sore throats and their associated symptoms are nasty. 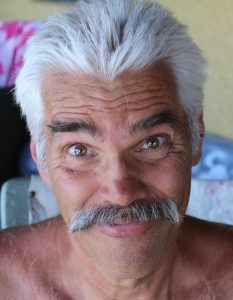 Worse yet, when the cold assaults us, we rush to the store and spend big dollars on big fat gel pills – or my preference, Alka Seltzer – that give us minimal results for the dollars spent. A 12-packet box of Theraflu, for example, costs about $10. That will last two days at a dosage rate of one packet every four hours. Dissatisfied with the results I was getting from commercial products last winter, I opted to try a homeopathic product, Hyland’s Cold Tablets with Zinc. I’ve read that zinc may work to combat colds and sore throats by preventing the rhinovirus from multiplying. It may also stop the rhinovirus from lodging in the mucous membranes of the throat and nose. A small bottle of 50 Hyland tablets goes for less than $10. I take two tablets every four hours. That means the bottle would last for 25 dosages or twice as long as the ‘medicinal’ tablets, syrups, etc. you can purchase at your pharmacy. MORE IMPORTANTLY, I have never taken more than three dosages before I experienced near total relief. Yesterday, I remembered I still have a nearly full bottle of Hyland’s Cold Tablets with Zinc in the medicine cabinet. I took two tablets at noon, two at four and two at bedtime. I woke up this morning with no signs whatsoever of a cold or a sore throat. My research indicates that, clinically, the jury is still out on the efficacy and effectiveness of zinc. My personal experience convinces me to rely on this product. It works for me. It might work for you, too. 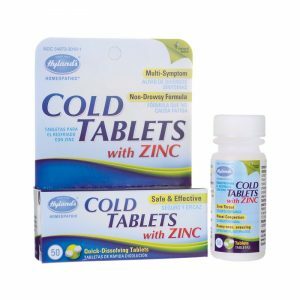 Google Hyland’s Cold Tablets with Zinc online. Here’s a 3-pack online for $21, that’s 150 tablets. Don’t wait until you have a cold. Have a bottle at the ready so that should you feel a cold coming, you can stop it before it gets a strong foothold on your body.